The Vegan Cuts All Over Beauty Haul Box is available now for $39! Start your new year off right with a box full of cruelty free beauty products at the ready! 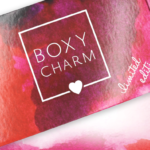 This All Over Beauty Box is truly unforgettable: over 20 vegan & cruelty-free beauty products for every part of your body, a value of over $300 and free shipping in the US. The best part is, it’s available now while supply lasts! I’ve bought this twice….. they keep changing prices. What prices have you seen? Yeah sometimes it’s higher and sometimes they have a coupon. I’ve oId as much as $45 I think, and as little as $30. Since I have so much, I’m only going to get it when it goes super low on sale again. Most of these are not new. I’ve never subscribed, only purchased some boxes when they put them on sale. Says its already out of stock.? This has been available for at least a couple weeks. I ordered one a bit ago. It came with the nail art card bent, but otherwise good. Unfortunately, both the aromatherapy boost and the lip balm stick have lavender, so I can’t use those products. I haven’t tried everything yet, but I love the Luxie brush. The lychee blush and sweet pea shadow are OK, but nothing special. My spray arrived completely empty and nail wraps were bent as well.